Over the next several weeks, Spaulding students will take Ohio's AIR Assessments. It is important that all student be at school on-time on the dates that they are to be tested. Please arrange all appointments around these dates if possible. 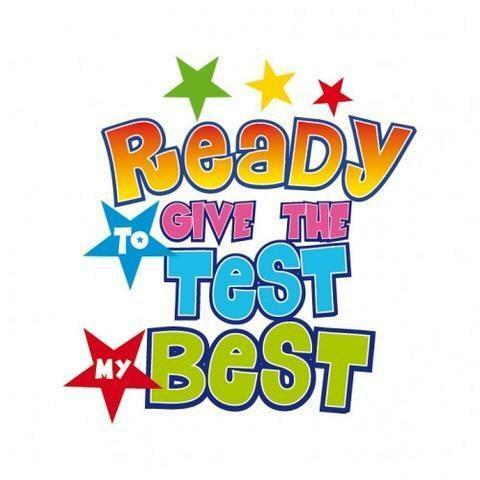 Click on the red title "Spaulding Spring Testing Schedule" to see the testing dates for each grade. 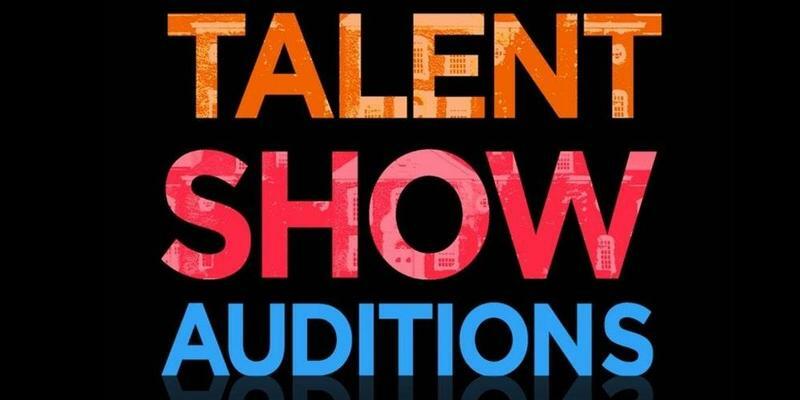 Auditions for the annual Talent Show will be held Wednesday, May 1st from 4-6 pm. All students must ride the bus home and then come back for an assigned audition time. Please click on the red headline to print a permission slip form and see all the details. The Talent Show will be held on Wednesday, May 15th at 1:15 pm. in the gym. 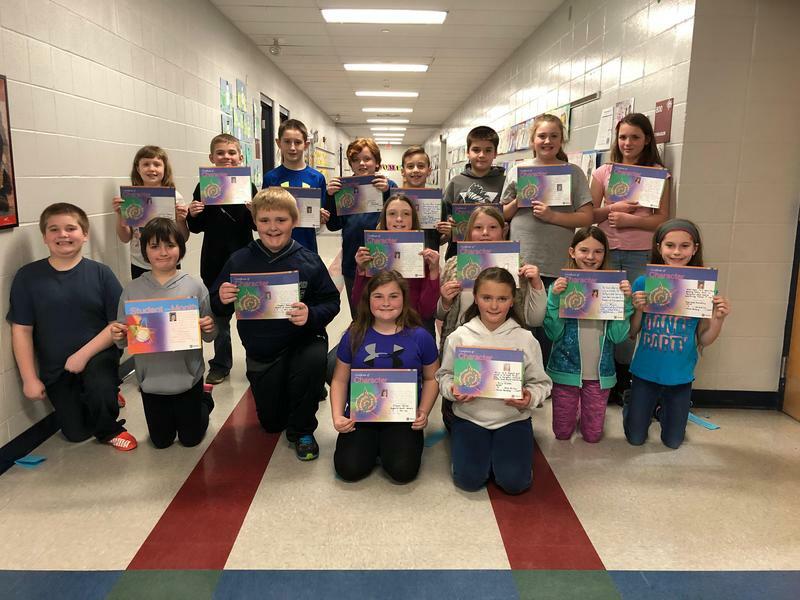 Congratulations to our January Students of the Month. We are so proud of you! 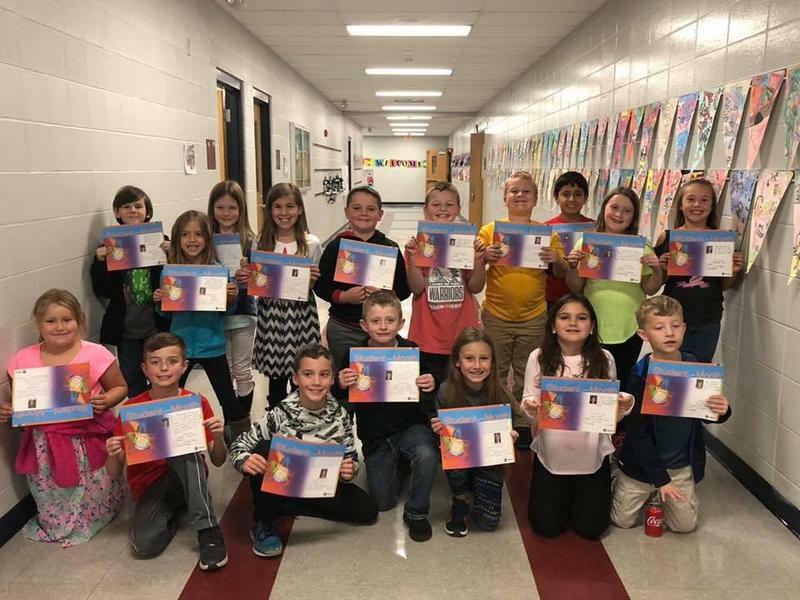 Congratulations to all of Spaulding’s October Student of the Month students. Keep working hard and doing your best! Thank you to the Goshen Township Fire Department and the Goshen Township Police Department for taking the time to celebrate with our students. 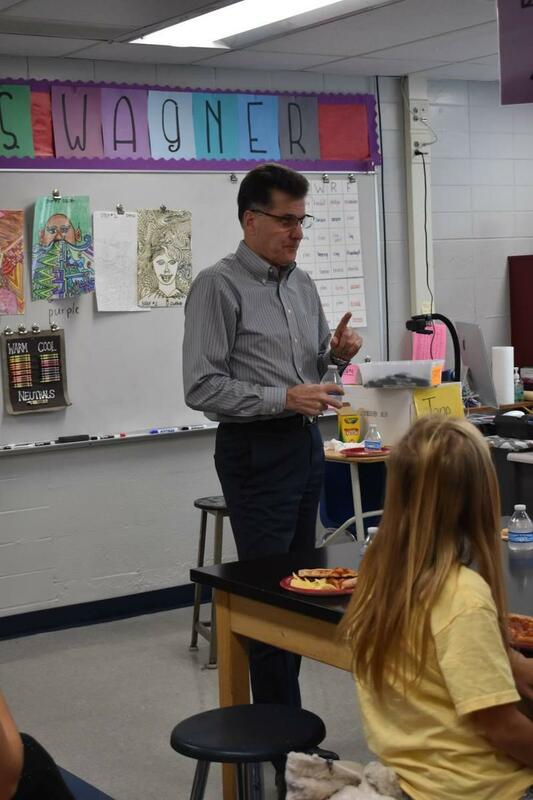 Many students at SES got chosen to have lunch with our author. They learned many new things about what an author does daily and enjoyed their lunch time with him.